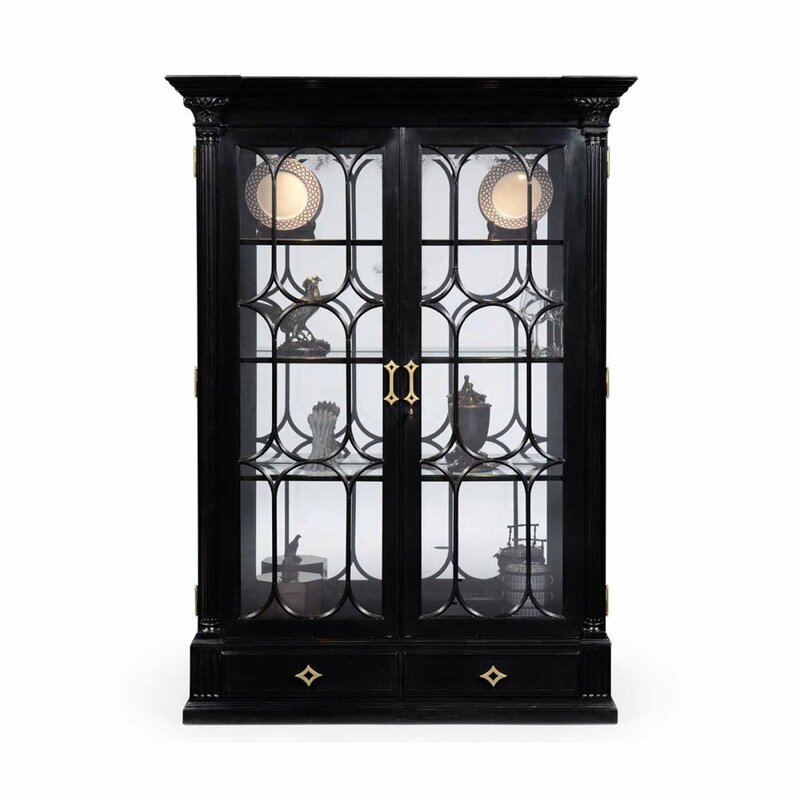 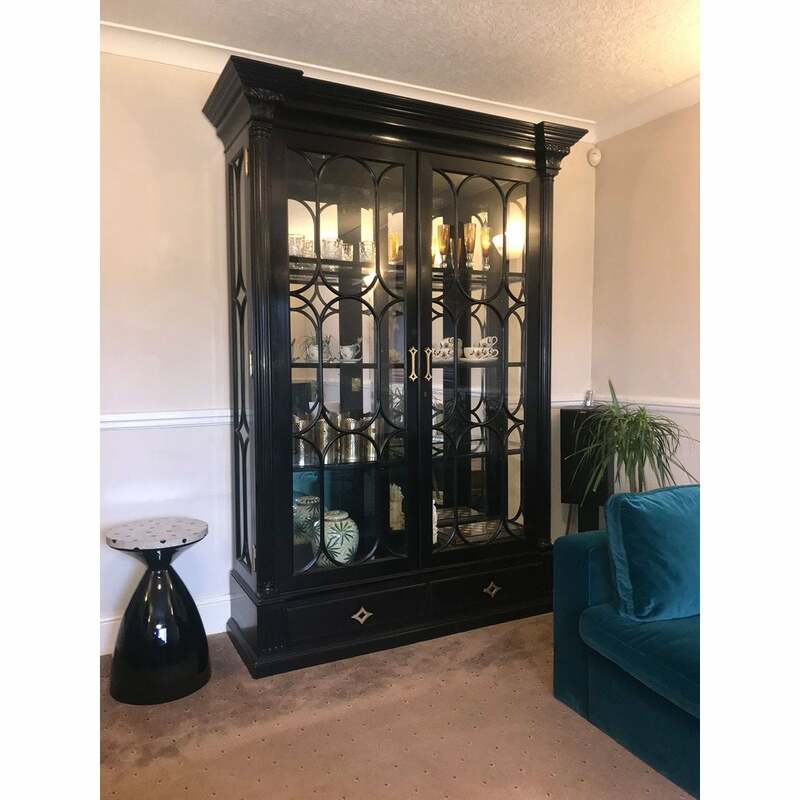 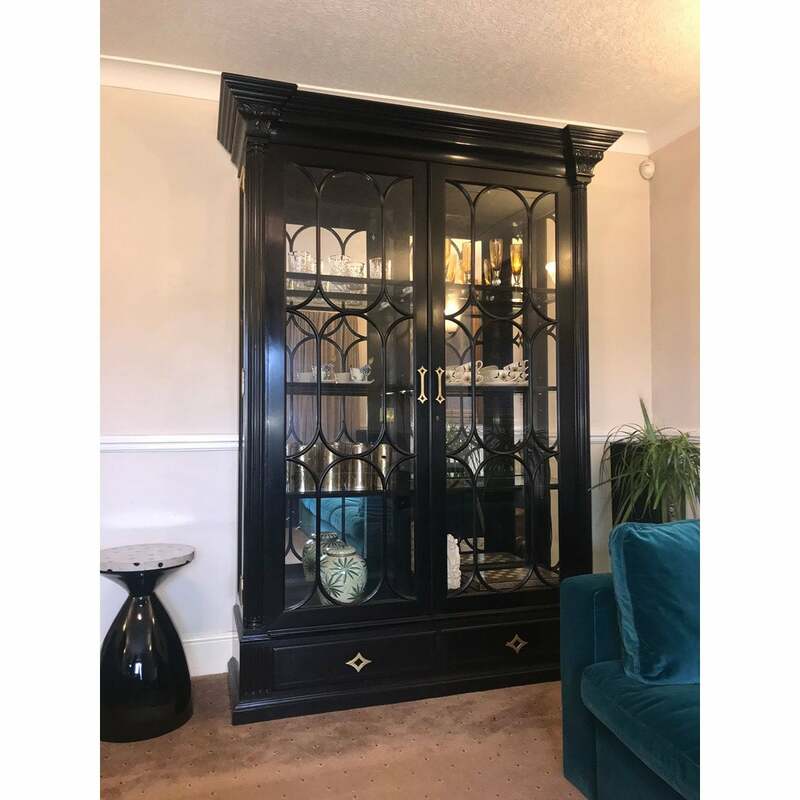 Large Jonathan Charles black painted display cabinet features the mirrored interior, adjustable lighting and the glazed doors flanked by engaged fluted Corinthian columns. 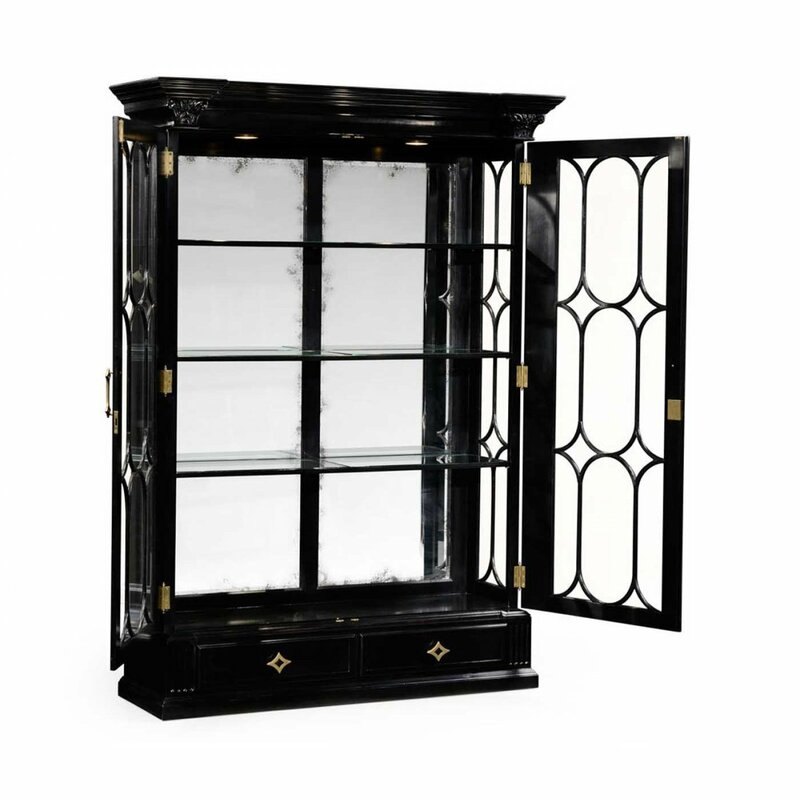 Two shallow drawers to the base, and stylised geometric brass handles. 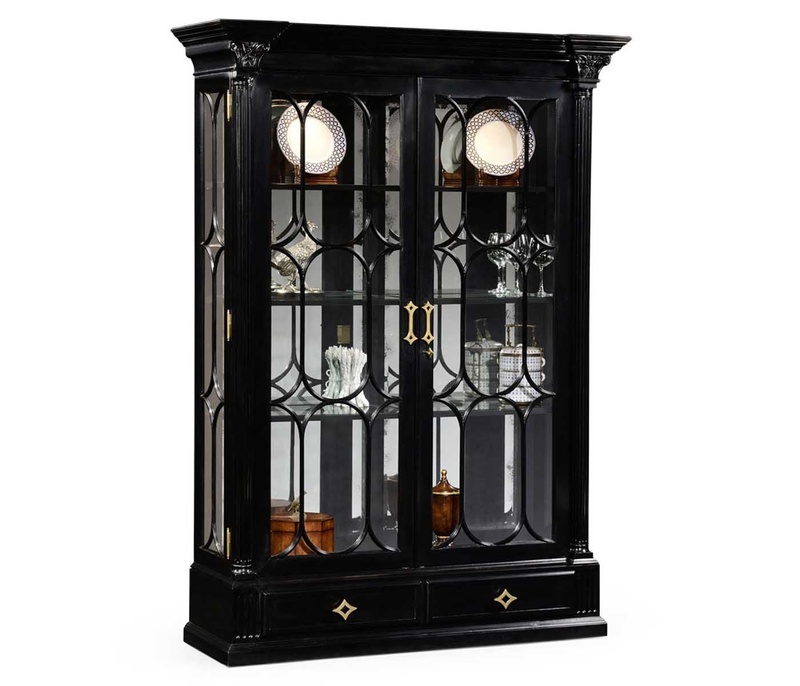 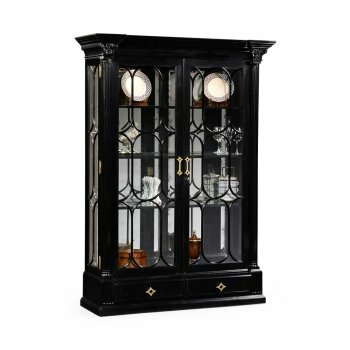 This magnificent Jonathan Charles China Cabinet would make an excellent addition to any dining room or living room. 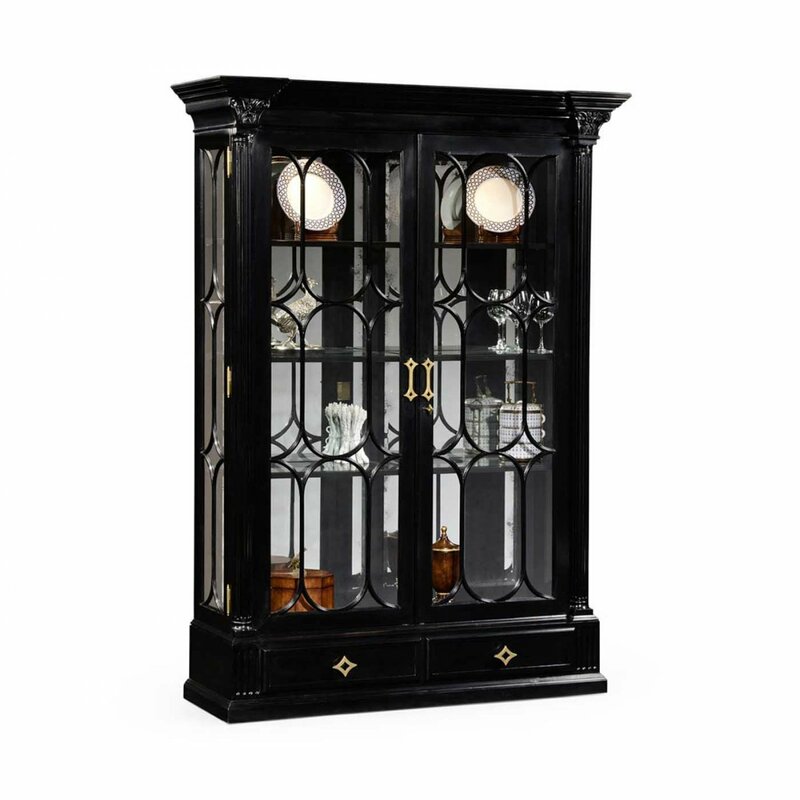 Coordinate with other furnishings from the Jonathan Charles Kensington collection.